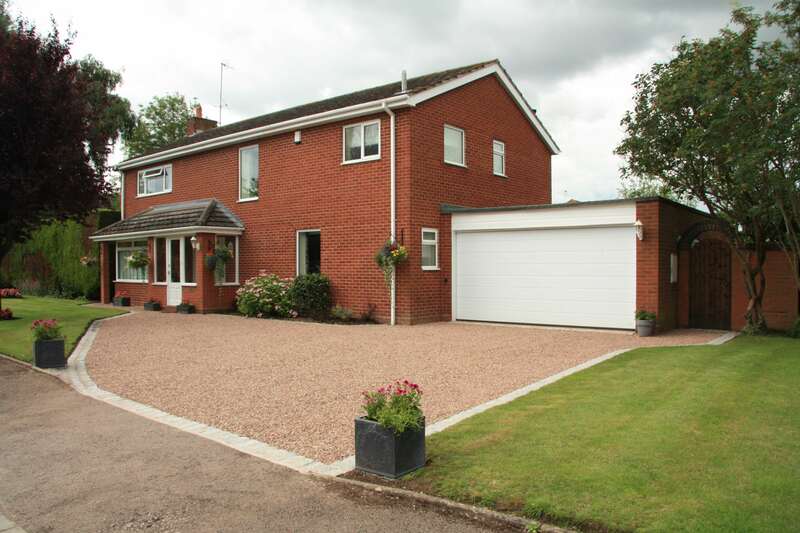 Location: Lower Moor, Nr Pershore. 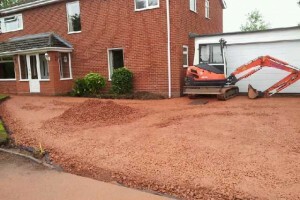 A tired tarmac surface was pulled up and removed from site. 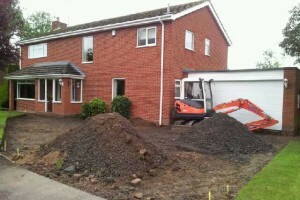 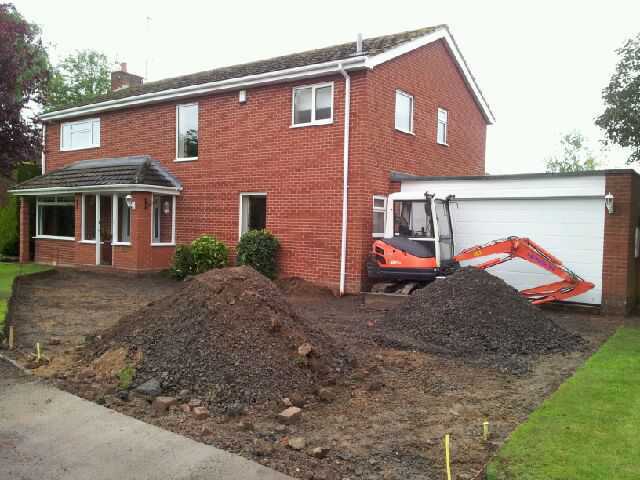 The site was excavated and a new stone base was layed and compacted to required depth and level to allow drainage away from the house. 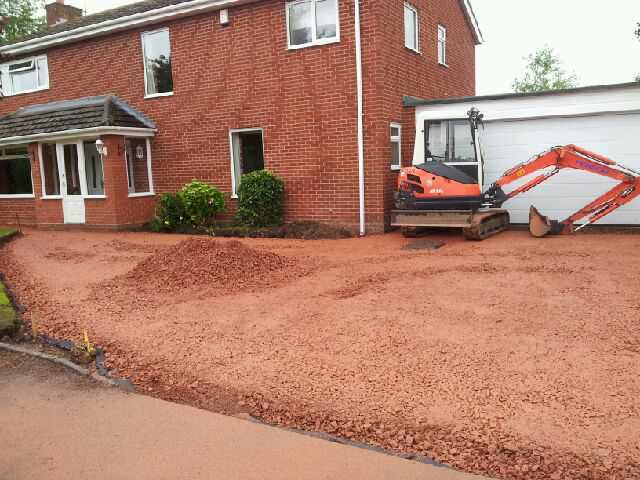 The existing concrete curb edging was removed and a new edging of two different sized granite setts was layed. 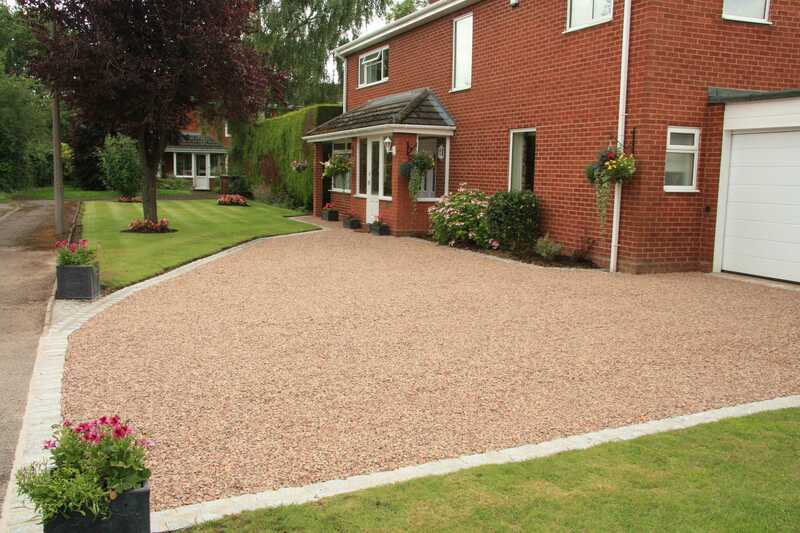 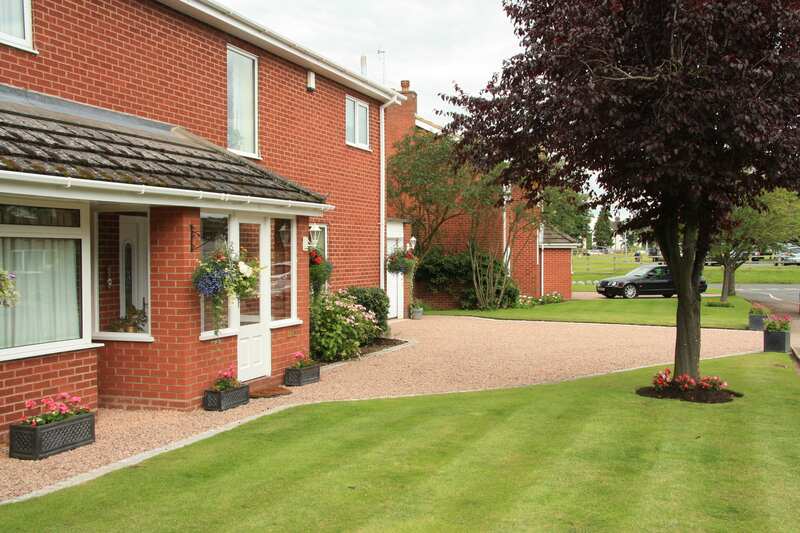 The Lawn to the permiter of the drive was adjusted to tie in with the height of the new edging and surface. 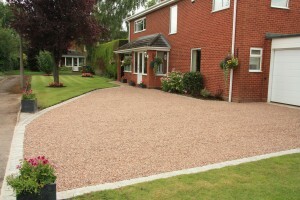 20mm Stowfield chippings were used as the final surface.